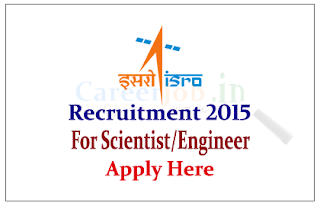 Indian Space Research Organisation (ISRO) is recruiting for the post of scientist / Engineer for the year 2015. 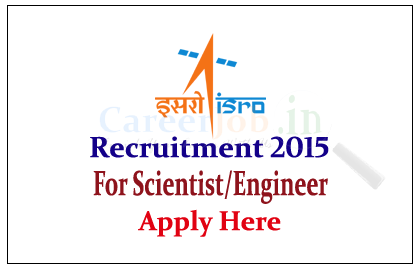 Interested and Eligible candidate can apply online here on or before 09th July 2015. Indian Space Research Organisation [ISRO] is a Research and Development organisation engaged in application of Space Science and Technology for the benefit of society at large and for serving the nation by achieving self-reliance and developing capacity to design and build Launch Vehicles and Communication/Remote Sensing Satellites and thereafter launch them. Eligible candidates can apply online on or before 09.07.2015. For more details kindly check official Notification.